About 3,000 revelers are expected to once again attend the northern Michigan brewery’s anniversary bash on April 29, with Short’s also announcing the winner of its first battle of the bands contest. 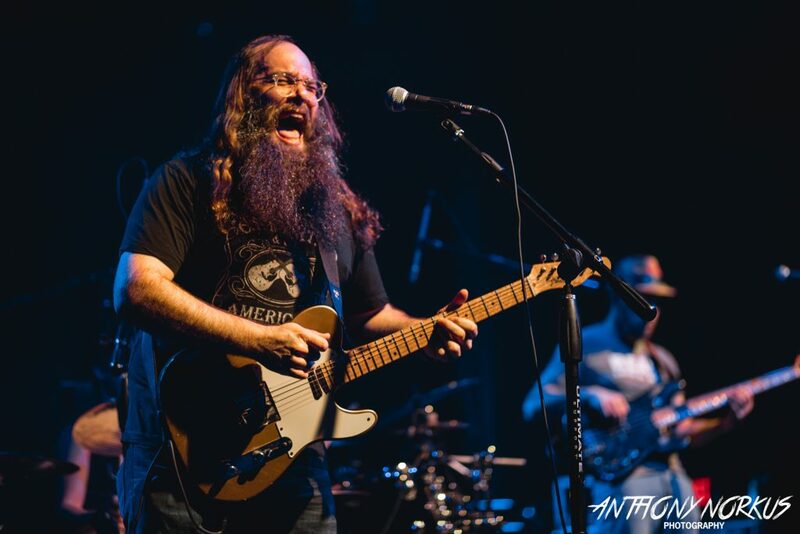 It’s a true celebration of Michigan music and Michigan beer. 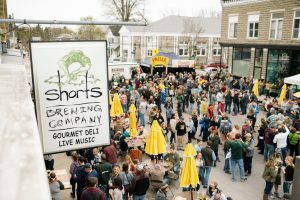 Northern Michigan’s Short’s Brewing Co. will tap its 13th anniversary party in Bellaire later this month with performances by Ann Arbor blues-rock star Laith Al-Saadi, Earthwork Music favorite May Erlewine and her band, and the winner of its recent battle of the bands, Traverse City’s Benjaman James. Winning Effort: Benjaman James and his cohorts won Short’s band battle and will play the Anni Party. The “Anni Party 13irteen” starts at 4 p.m. April 29 in downtown Bellaire, with about 3,000 revelers expected to attend as the brewery celebrates its 13th year in business. For singer-songwriter Benjaman James and his funk/soul/jazz band, the journey to playing the one-day festival was a long one: The band performed at Short’s brewpub three times on Sundays as part of a three-month-long “battle of the bands” featuring 20 different acts, eventually topping Ann Arbor-area rock/funk/blues band Act Casual in the finals earlier this month. “The battle of the bands was an incredible opportunity for our career growth and also a ridiculous amount of fun,” James said. 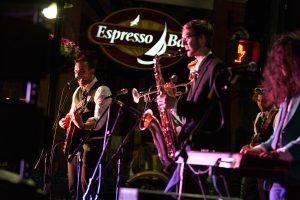 A panel of judges evaluated the competing bands based on stage presence, their original material and party “vibe.” James and his band advanced after a semi-final round that also featured Lansing’s Tell Yo Mama and Manchester’s Risky Brenda. James and his band will kick off the Short’s party at 4:30 p.m. April 29, followed by performances from May Erlewine & The Motivations and Laith Al-Saadi. 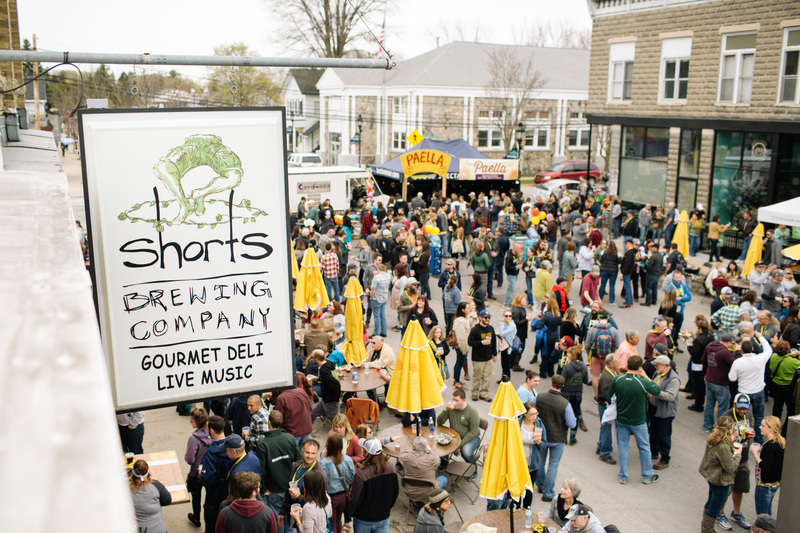 The party also will feature 31 Short’s Brewing brews and Starcut Ciders, food and more. Tickets are $20, which includes entrance to the party, or $35, which includes entrance to the party and six drink tokens. The tickets are available online at shortsbrewing.com/anniparty. 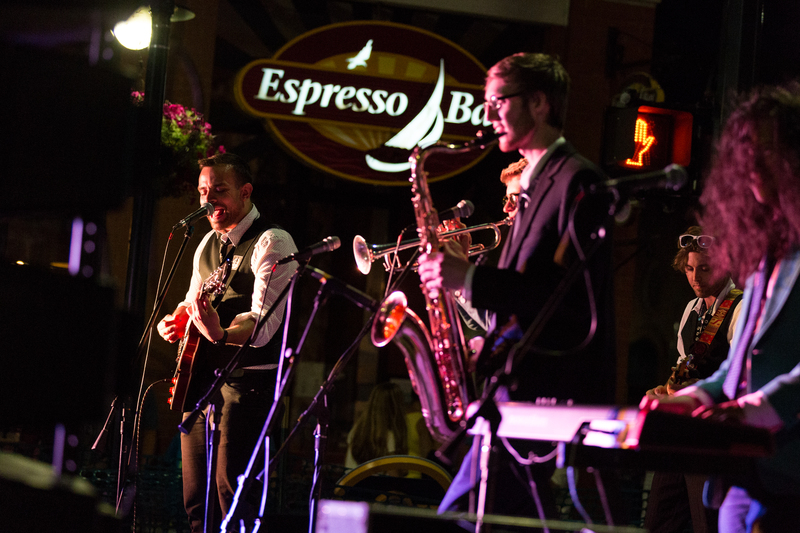 Tickets for the street party are expected to sell out quickly. The brewery noted that half of the profits from the anniversary celebrated will be shared with the Village of Bellaire Downtown Development Authority to assist with village improvements and beautification projects. “We have a fun show planned for the Anni Party and are proud that a Northern Michigan native is able to kick it off,” James said. The band aims to follow up its anniversary party appearance with a return to the studio to work on a new recording. 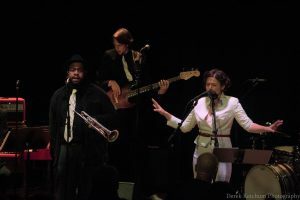 James said he and his comrades also have “a ton of awesome shows” planned for the summer, including their first appearance at Frederik Meijer Gardens & Sculpture Park in Grand Rapids as part of the Tuesday Evening Music Club series. “The mission is as it has always been – to get our music in the veins of as many listeners as possible,” James said.